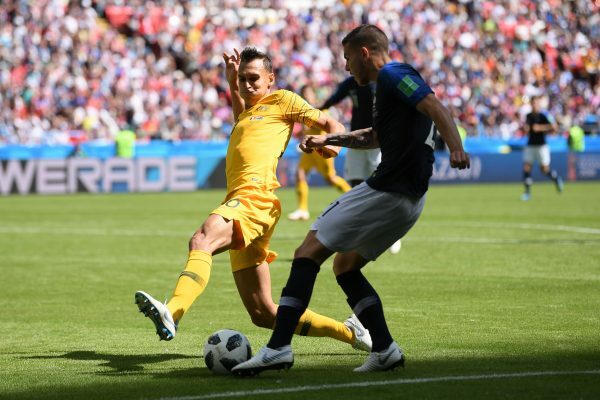 Inspite of all the scientitic testing and ‘bla ‘ from adidas about their new Telstar 18, being tough and durable, it burst during the game between France and Australia. A strong tackle on Lucas Hernandez (France) by Trent Sainsbury (Australia)sandwiched the ball and it burst. 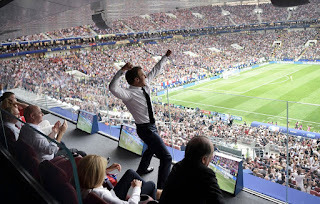 Then in the 34th minute, Ousmane Dembele (FRance) prepared to take a corner but was delayed when he checked the ball and found it had burst. 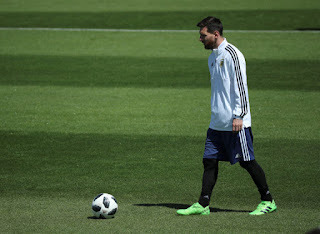 On the same day in a different stadium, during the Argentina vs Iceland match, Lionel Messi was forced to change balls after being unhappy with its state early in the first half. It remains unclear why competition balls are bursting during matches.